Limited Time Offer - £16.95 until 30 April (normally £22.95) Discover how plants grow and just why seeds are so super. 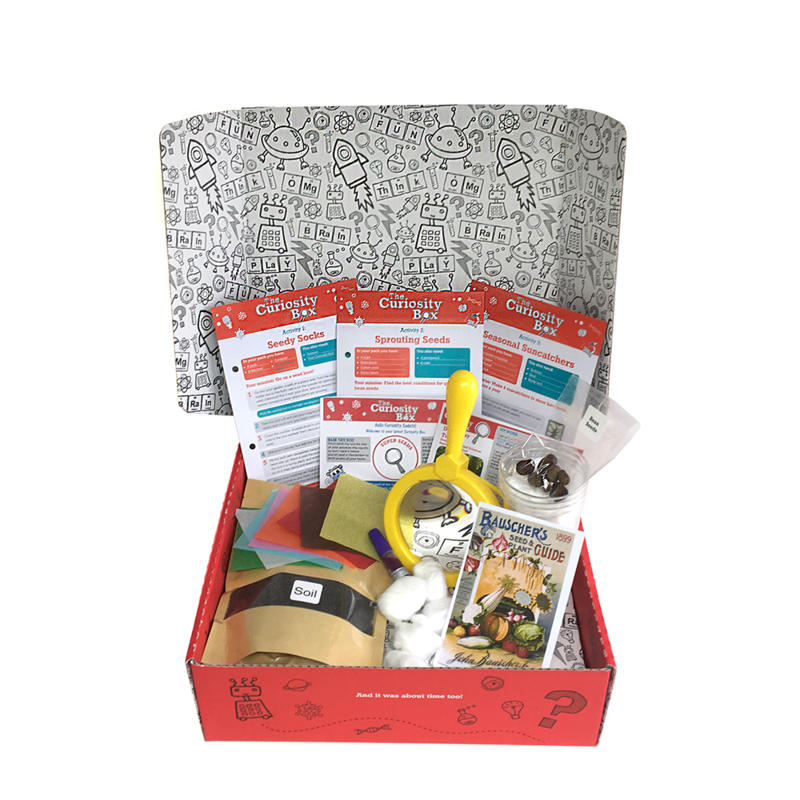 Box includes 3 activities plus a chunky magnifier (colours vary) Go outdoors on a seed hunt and see what you can grow! Find the best conditions for growing bean seeds and learn about germination. Get crafty and make 4 suncatchers to show how trees change over a year. NOTE: this box is best used between April and October.